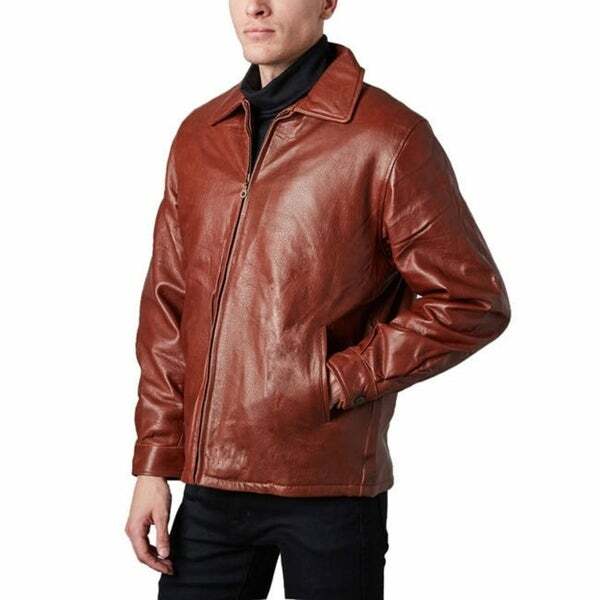 Enjoy the classic look of leather with this pebble-grained jacket. This jacket is slightly distressed for long-lasting lambskin in cognac-brown for easy wardrobe coordination and features a removable liner for comfortable year-round wear. I loved this jacket as I bought it for my father. I just bought a size too small. But excellent quality, feel and color. And its true to size & just miscalculated my fathers size. It's a really nice jacket.